Would you be interested in buying a 1932 Ford Deuce for only 49¢? Even more incredible, you can buy two different 1932 Ford Deuce’s for under a buck! No, you don’t have to send the money by Western Union; and no the buyer isn’t moving to Nigeria next week. In fact this sale is supported and approved by the United States government. 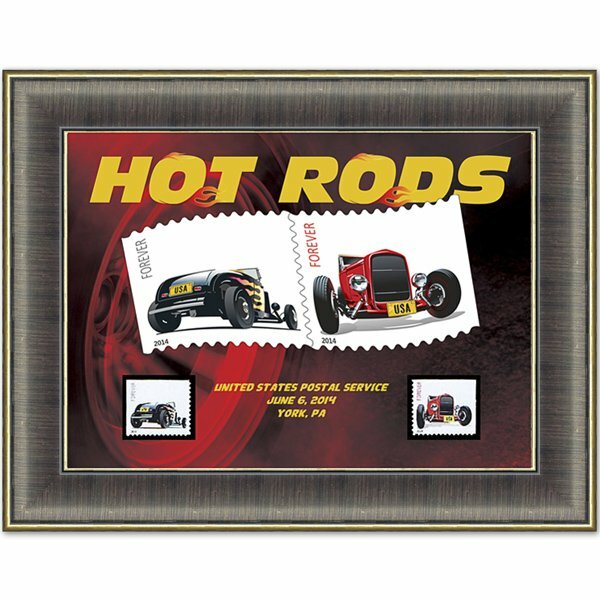 Unfortunately these hot rods are only on paper and sold by the US Postal Service. Bummer. 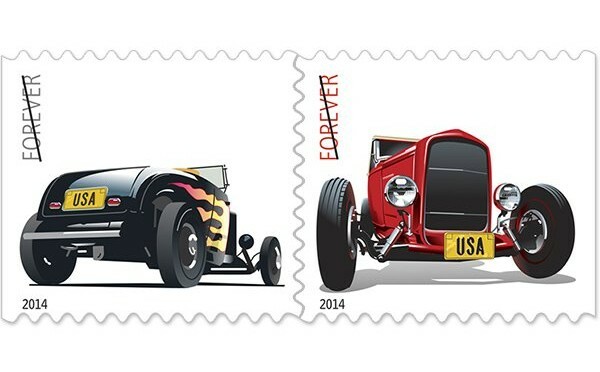 The Postal Service is offering two different hot rod Ford deuces for sale for the “forever” price of 49¢ each. The two choices are a black ’32 Ford roadster with flames on the sides or a red ’32 Ford roadster. The black deuce is a view from the right rear, while the red 32 Ford is coming dead on at yet. Both feature a stylistic black on yellow license plate featuring “USA”. Both illustrations were created digitally. These rods were originally designed by Derry Noyes and then illustrated digitally by John Mattos. Mattos is an acclaimed illustrator based out of San Francisco, California. 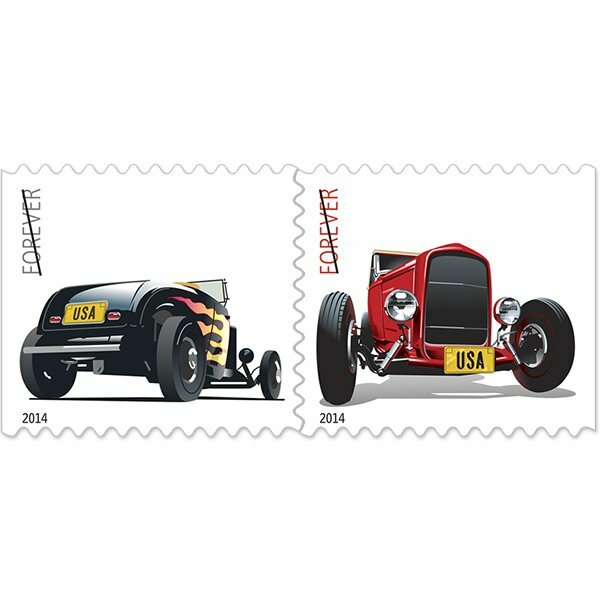 You may recall that the USPS has released two previous sets of classic muscle car stamps in their collectible series. The 32 Ford “deuce” is an iconic vehicle and is a popular vehicle to wrench on both “back in the day” and now. The distinctive grill is an iconic look for the deuce hot rods, and is gracefully highlighted on the red 32 Ford stamp.